UPDATED! One of our most popular posts for the past few years, this ultimate guide to SEO techniques that grow rankings has been updated to get you ready for a successful 2019! In today’s rapidly shifting world, SEO techniques can change on a dime—and the worst part is, that you might not even know it. 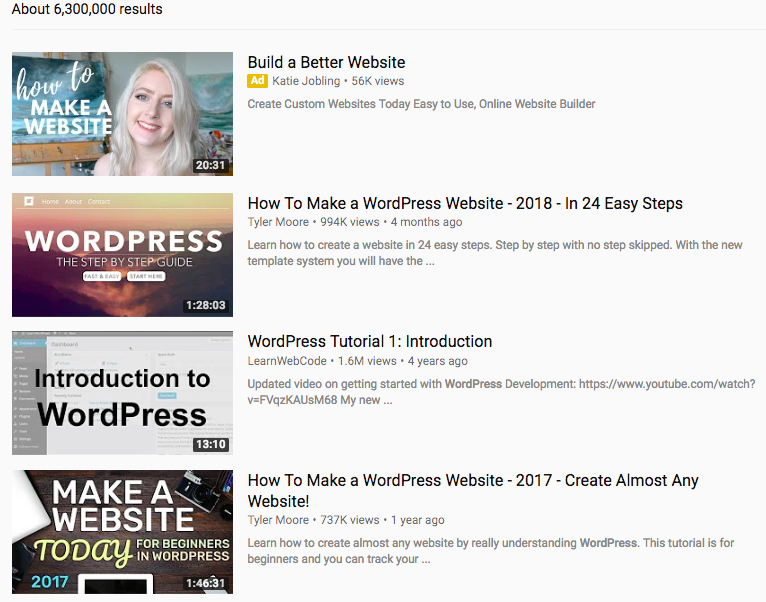 Hacks that could have won you a front-page result as recently as 2018 are not only obsolete now, but they may even hurt your website’s rankings. Especially if those so-called “hacks” land your site a Google penalty that’s tough to shift. That’s why you need to stay on top of the ball in SEO. If not, you’ll fall behind and see your competitors zoom past you in the SERPs. We spoke with Jacob Warwick, Director of Communications at Skedulo, and Jesse Teske, SEO Manager at YLighting, to get their expert thoughts on the most current SEO tactics, as well as writer and content marketer Puranjay Singh, founder of GrowthSimple. In this post, we’ve broken down the top SEO techniques to help you skyrocket your rankings and boost your number of monthly visitors from organic search. It goes without saying that your goal, as an SEO expert, is make your website reach the top of this list. Higher rankings equals more organic traffic – people you can convert at a later stage, and boost the overall ROI of your SEO strategy. Sounds like the dream, right? But if you’re feeling disheartened with the keyword ranking check you just ran, don’t panic. Let’s kick things off with a brief explanation of what Google is here to do. Just like any search engine, they want to show the best results for a user’s query, and if they’re greeting users with a list of irrelevant, low-quality results, they won’t use them again. By the way, Google does this very well, which is why they’re the largest search engine in the world – by far. You’ll need to think about that constant desire to show the best results when you’re optimizing your website for SEO. Why? The answer is simple: If your site isn’t high-quality enough, you’ll have a tough job ranking for your target keywords. Google’s reasoning is that if a user spends more time on a page, it’s probably because she found the page useful. 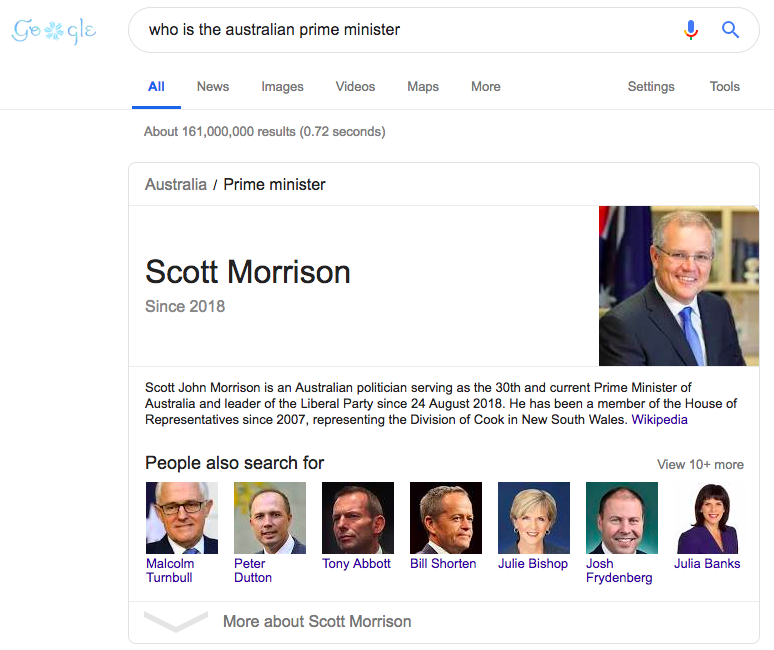 And since Google only wants to deliver the best possible results to its users, it will push sites with strong engagement up in the search engine results pages (SERPs). So how can you improve the experience that visitors are having with your website? Unfortunately, reducing your overall bounce rate isn’t as simple as removing a few annoying pop-up ads.  Ever heard the phrase “formatting content for the web”? To stand any chance at increasing your organic rankings, we need to take that a step further and optimize your content for readability. 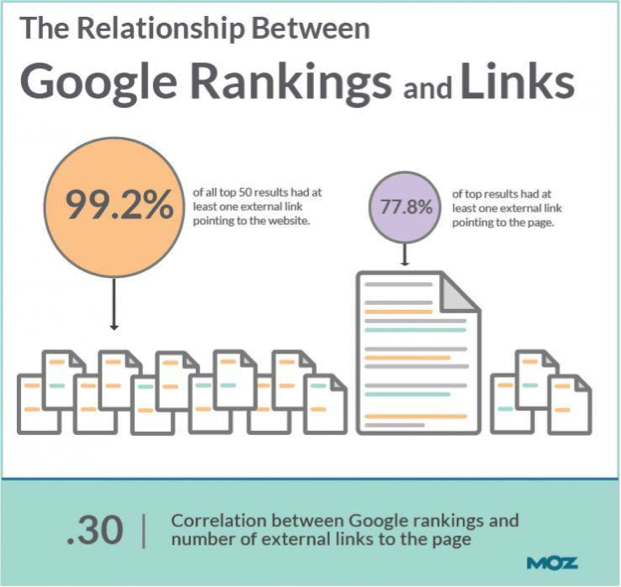 Remember: More people reading your content = lower bounce rate = higher organic rankings. Shorter paragraphs: Generally speaking, limit each paragraph to 3-4 sentences. It’s even okay to use one-sentence paragraphs if necessary, but use them sparingly or your post will look like a bullet-pointed blog without the bullets. 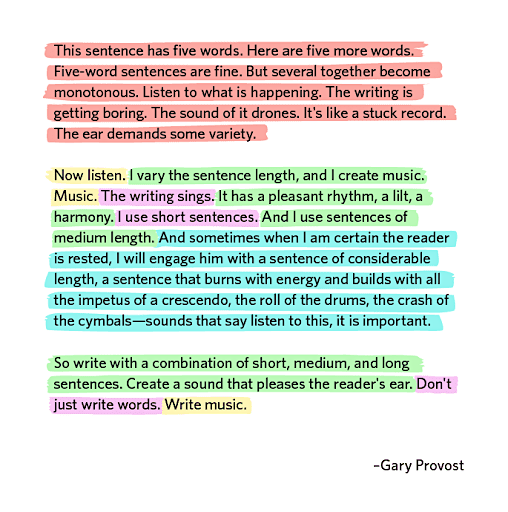 A paragraph is a group of related sentences that support one main idea, so if you split up one paragraph into individual lines, your idea tends to be fragmented and makes it hard to grasp the overall point. Sub-headers: Did you know that the average person spends just 37 seconds reading a piece of online content? You can boost that time significantly by including subheadings to make scanning the article easier. Use plenty of clear and informative sub-headers to guide readers down a page, along with call-out points that are emphasized in bold. Readers should be able to scan your blog post and get the gist of what you’re talking about. Bullet points: When you have a lot of data—stats, facts, ideas, examples—packed into one paragraph, it makes it easier to read when you list them with bullet points (like this!). White space and images: When you visit a web page and are greeted with a huge wall of text, it can feel overwhelming. Prevent your site visitors from overwhelm by breaking up large chunks of text with relevant, supporting media, including photos, videos and graphs (in addition to bullet points and sub-headers). Write quality content: All these other points are meaningless if your writing is just bad. Good writing is not necessarily about paragraph or sentence length, bullet points, headers and images; good writing is about great ideas and compelling delivery. Originally, a “bucket brigade” was a chain of people who pass buckets of water from person to person to extinguish a fire. Now it’s a copywriting technique designed to capture a reader’s interest and then keep them reading the rest of your page (reducing bounce rate), much like the flow of the bucket being passed down the line. This method means giving away the most valuable information at the top of the article, and following it up with less important information. If readers tend to scan and rarely make it to the bottom of an article, it makes sense to give them what they want as soon as they land on the page. More often than not, high bounce rates result from poor usability and an awkward user experience (UX). However, it’s tough to figure out where pesky UX problems are an issue because they can vary dramatically from site to site. Clever and intuitive, Crazy Egg helps subscribers rate and understand user experience with their rich visual aids like heatmaps, scrollmaps, confetti, and overlays. Each of these are graphic representations of one aspect of UX. 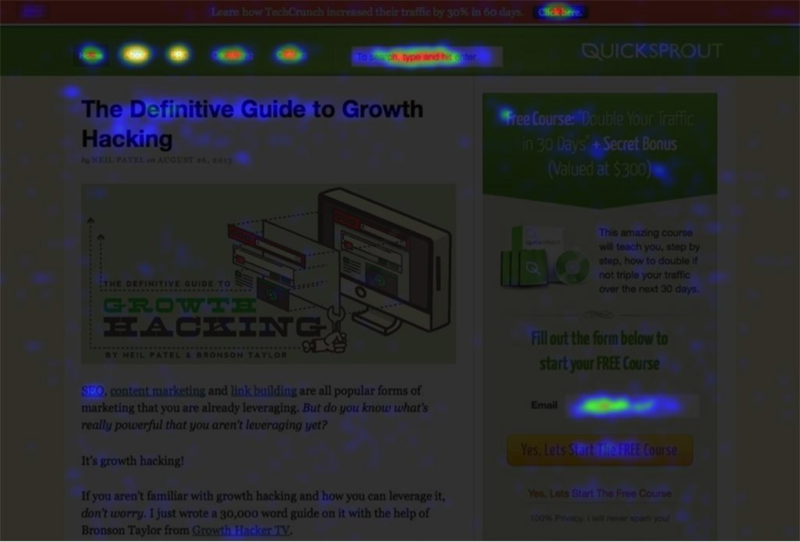 For instance: Heat maps are colorful representations of where users have clicked on your site, while scrollmaps show you just how far down the page your users scroll before leaving. 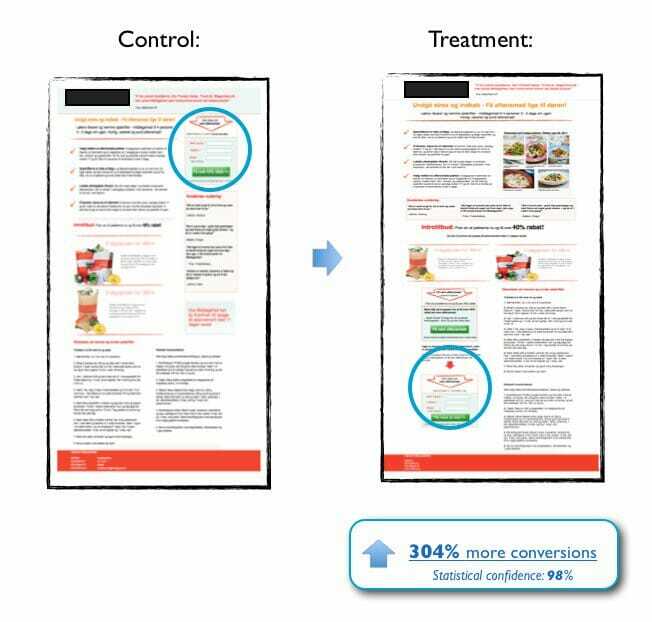 Optimizely, the world’s leading experimentation platform, specializes in A/B testing—a scientific, data-driven way to test websites for maximum usability and engagement. In A/B testing, multiple versions of a web page are randomly shown to users, compared against a control page (generally the existing website), and then analyzed for effect. The genius of Optimizely is that it massively simplifies something that would otherwise require a team of dedicated, experienced UX designers and researchers to carry out. Along the same lines, Optimize by Google Analytics also assists marketers improve and maximize customer engagement and conversion. 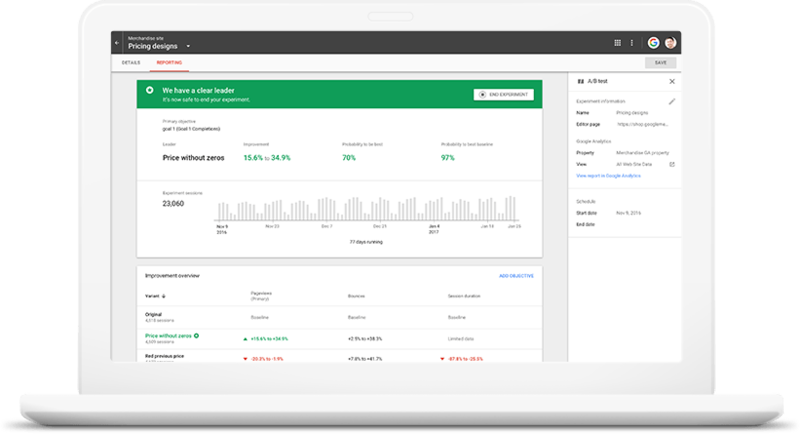 As a free version of its Optimize 360 program, Google’s Optimize is a streamlined, user-friendly software that simplifies A/B testing and includes advanced modeling to improve engagement and targeted experiences. But perhaps the biggest draw of Optimize is that it seamlessly integrates with Google Analytics, allowing marketers to further leverage their existing resources. 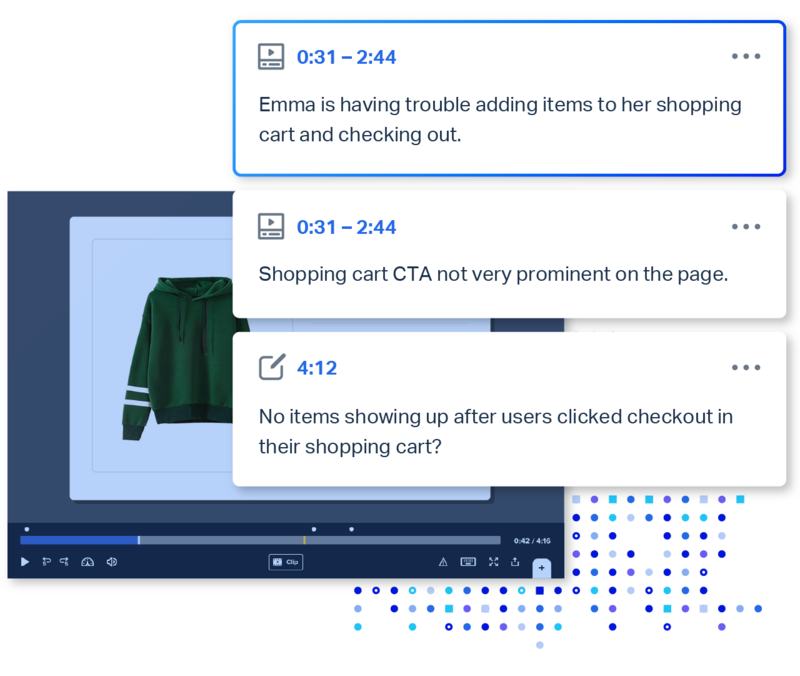 With Optimize, marketers can use existing Analytics metrics as a starting point, which allows them to rely on a familiar interface as they move on to deeper and more complicated experiments. While Google Optimize and Optimizely are essentially DIY UX tools for marketers and small business owners, User Testing is far more specialized. They say users can “capture the critical human insights you need to confidently deliver what customers want and expect”. And, in its most basic form, User Testing is more of a pure research tool—gathering commentary from target audiences and offering marketers detailed videos of user interaction and behavior. The above four tools are some of the best UX testing programs available today. 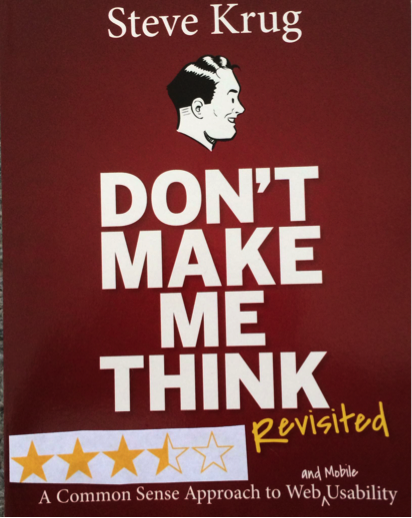 Yet one of the best UX resources isn’t digital, but rather a book: Don’t Make Me Think, a groundbreaking work by UX designer Steve Krug that has sold 100,000 copies over five years. With its conversational tone and engaging manner, Krug’s work gets readers into the habit of critically examining and rethinking everything about their websites, including even the tiniest details, like misplaced buttons or unwieldy site maps. ClickFlow is a tool we built to help companies increase organic traffic without more backlinks or posting more content. Through ClickFlow, companies can automatically see which pages on their site have the most potential to grow revenues, such as pages that have high impression count in search but a low click through rate. Using that information, ClickFlow will keep track of headline tests to help grow your click-throughs from search terms you already rank for. Site speed plays a huge role in SEO because people don’t want to wait years to access information they’re searching for. Think with Google to help gauge how responsive (or mobile-friendly) a site is, which includes speed as a parameter. Clearly, Google wants your website to load faster than it is right now. But how fast? You should improve your site’s speed not only to work your way up Google’s rankings, but also to increase conversions. One survey found that nearly 79% of web shoppers who have trouble with website performance won’t return to the site to buy again – which could see you losing out on a ton of conversion-rich search traffic who are ready to hand over their hard-earned cash for your product or service. Did you know that 50% of all searches will be conducted by voice by next year? That’s right: Half of all the people heading to Google aren’t typing their queries – they’re using a voice-assisted device to do the job for them. If you think that’s not something you’ll need to factor into your SEO strategy, you’re wrong. 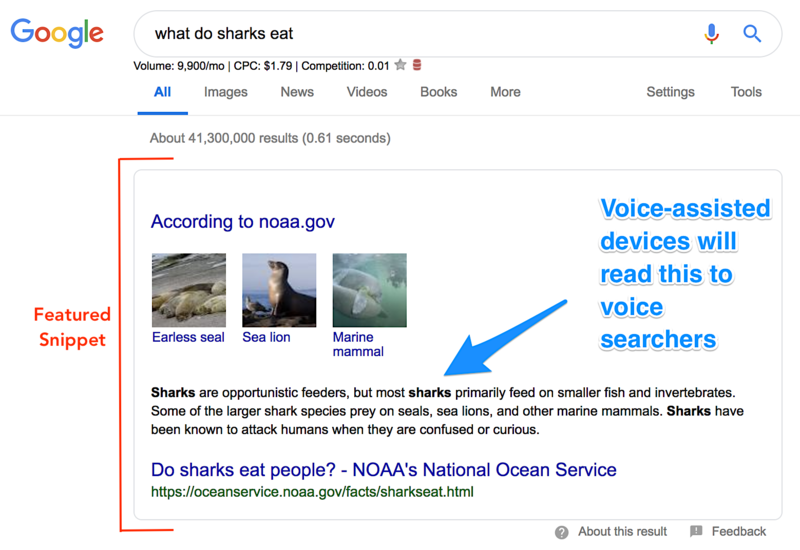 Voice searchers have different habits than text searchers, and the devices they’re using (whether that’s an Amazon Alexa, Siri or Google Home) take data from SERPs to replay information from the featured snippet box back as their answer. Identify one long-tail keyword using this guide (e.g. “how to wash a car”). Find 2-5 other, relevant long-tail keywords (e.g. “car washing guide” and “tips for washing a car”). 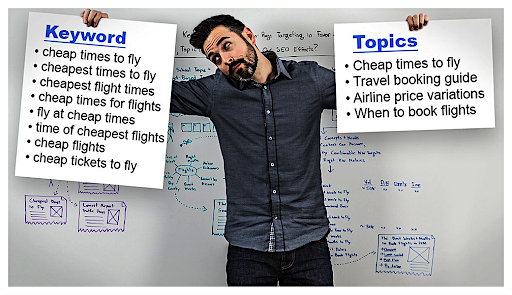 Write a long-form, comprehensive blog post that’s 10x better than anything else already ranking for those long-tail keywords. Remember to format the content for readability. Promote your content like crazy. Build backlinks to your blog post (more on that later!). Watch your content start to rank. Remember how we said that Google takes information from the featured snippet box and replays that back to voice searchers? 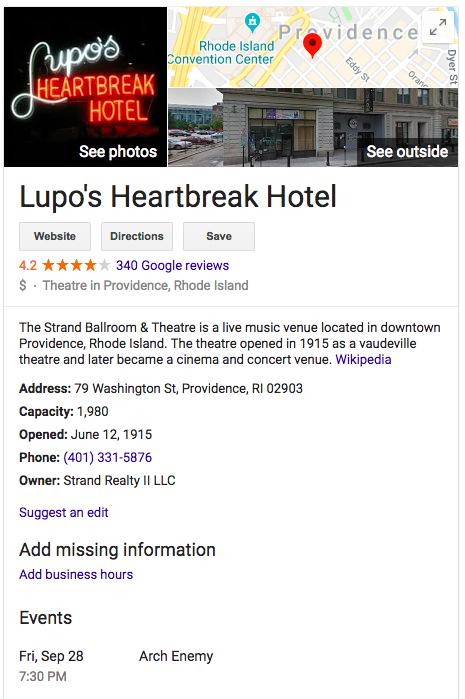 Using structured data is a fantastic way to boost the chances of your information being read aloud to your target audience. There are several types of structured data (also known as Schema markup) that SEOs can use, both of which give Google a quick rundown of what your page is about. That, in turn, helps it to rank better. If you don’t, don’t panic! 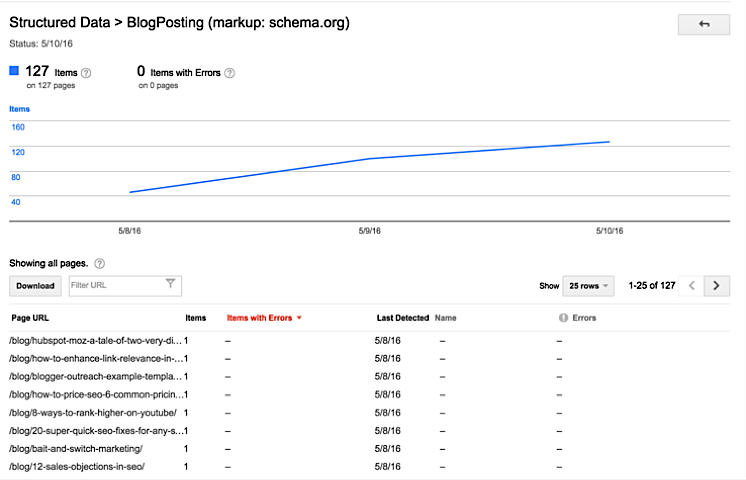 Here’s Google’s guide to Schema markup that explains the type of code you need, and how to implement it. But don’t expect your website to end up on the first page of Google simply by creating keyword-focused content. It’s not enough to look at keywords alone. We need to look at the context around them. The type of content you’ll create will depend entirely on your audience. The better you know them — their location, age, interests, etc. — the better the content you’ll create (and the better your SEO). Without knowing your target audience, you might end up creating content for all these topics. That won’t win you readers or good rankings because you can’t please all three with a single piece of content optimized for such a broad term. 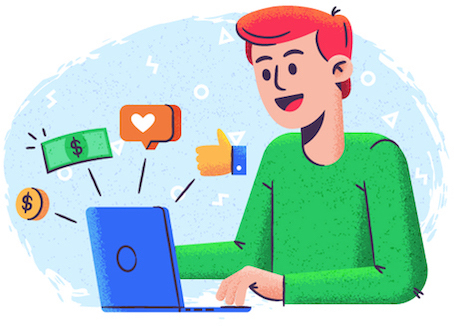 However, by building buyer personas that detail the shared traits of your ideal customers, you’ll be better able to zero in on topics that matter to your readers, while also minimizing the chances of creating content that doesn’t actually get results. 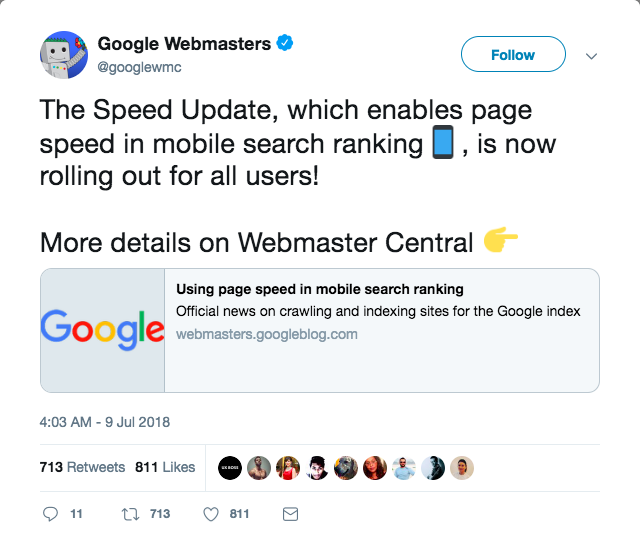 Using that content strategy satisfies user intent since they’re getting information they’re searching for, while also creating a library of internally linked content that Google’s spiders will crawl, understand and use to rank each page. Confused why we’re listing keyword research as an SEO technique when we’ve told you to focus on topic clusters, rather than keywords? Because keywords still matter. Organizing content thematically is very important, but it’s a mistake to ignore keywords entirely, given that they serve as signposts to Google’s spiders, signaling topics and giving hints as to the nature of the content on the website. A one-stop shop from the SEO specialists at Moz, Keyword Explorer is a versatile, dynamic program that covers nearly every aspect of the keyword process. 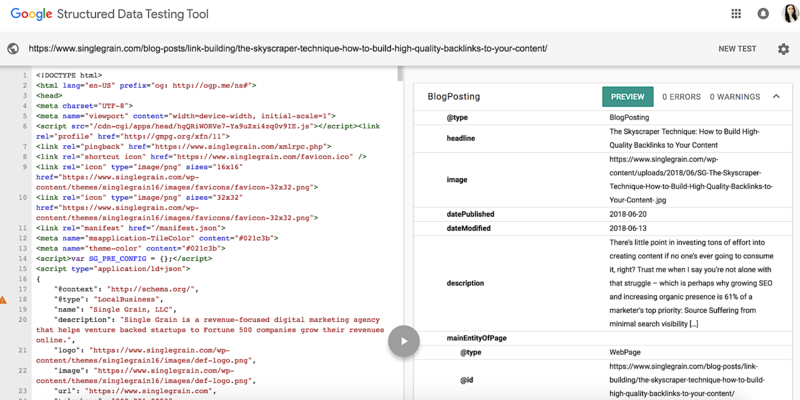 With this tool, marketers can brainstorm keywords, build lists and filter them by topic. You can also analyze metrics, click-through rates and other measures of effectiveness, as well as spy on and assess keywords used by your business rivals. 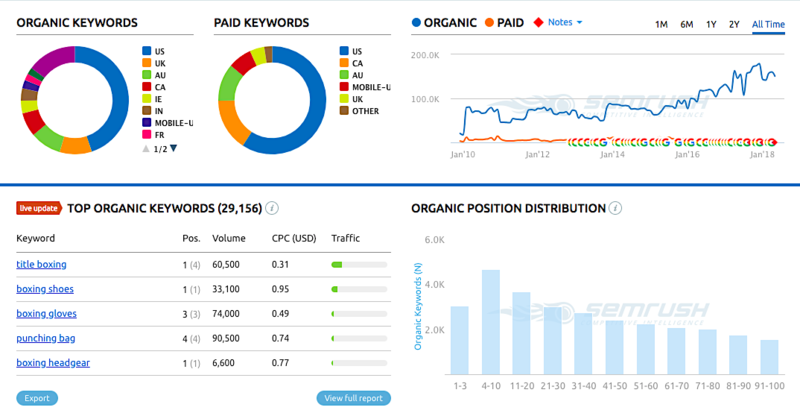 Another great tool for SEO analysis, particularly where it concerns business intelligence, SEMrush allows you to identify and analyze the keywords that your competitors are using. Enter your competitor’s URL into the SEMrush search bar and you’ll be provided with a list of SEO keywords, along with their rankings and traffic. 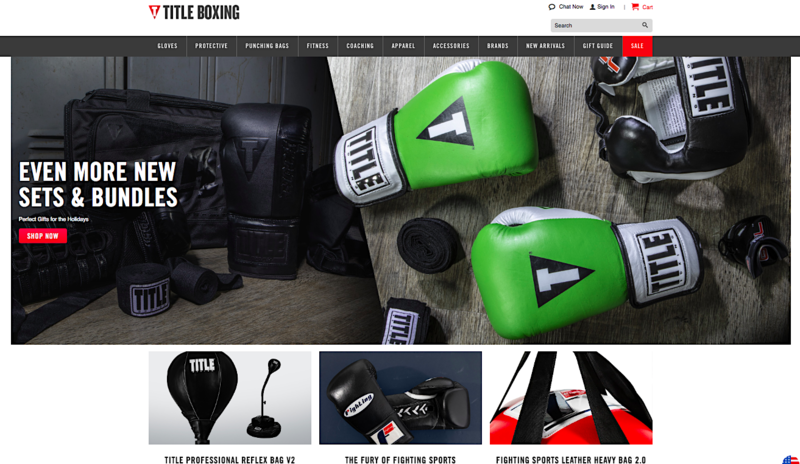 For instance, a search on “title boxing“, one of the most popular online boxing and kickboxing retailers, yields 90,500 organic searches for the term “punching bag” (fourth overall), as well as 60,500 results for “title boxing,” the name of both their in-house brand and retail store. Interestingly, SEMrush also allows users to use a competitive positioning map, where they can see overall website traffic and keywords: title boxing boasts 150K+ in search traffic and 29K in keywords, far outpacing their closest competitors. Ahrefs offers a wide range of products, including backlink checkers, content explorers and position trackers. For our purposes, however, we will focus on their expansive, adaptable Keywords Explorer, which allows marketers to search nearly 3 trillion keywords in over 170 countries, assessing metrics like keyword difficulty, click-through rates, related keyword lists and search volume. When considering which keyword tools to use, look for something that allows you to monitor a high volume of keywords broken down by relevant themes. Additionally, the best tools must ensure that you can track all your competitors, from large corporations to small, up-and-coming firms. As always, go for quality and not quantity. Rather than casting a too-wide net, focus on keywords and topics that are within your niche, ones that you can optimize for and be the authority on. Fill in these gaps and establish yourself as an expert in this smaller field before tackling larger and broader keywords where the competition is much fiercer. As for keyword ideas themselves, Google offers an easy (and cheap!) way to discover related search ideas. 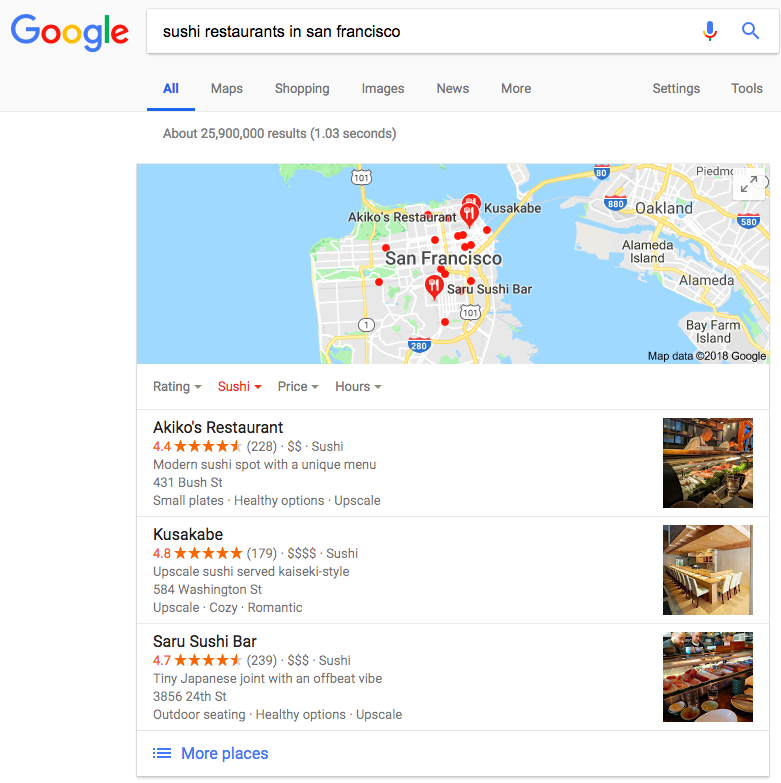 Just type “sushi restaurants in San Francisco” into the search bar of Google Chrome and you’ll be presented with related images along the middle of the page, such as the names of specific restaurants, times they’re open, and where they’re located. This is a strong hint for developers to include these topics in their content, or to create pages to leverage these related images. However, writing 2,000+ words for every blog post is not for everyone. It’s an intensive and time-consuming process – but most of all, sometimes it’s not necessary. Remember what we said about satisfying user intent? Some search queries are by people who aren’t looking to digest a lengthy blog post. Their answer could be a matter of words or a few paragraphs, so the other 1,500+ words you’re pressuring yourself to create might be a total waste of time and energy. Let’s take the “link building tips” keyword, for example. People searching for that phrase are likely looking for a comprehensive guide to link-building strategies they can use to conquer Google. People searching for “link building do’s and don’ts”, on the other hand, might not need that lengthy type of content. A simple bullet-pointed list is probably all they’re looking for. Unfortunately, there’s no hack to determine how long your content should be other than good old-fashioned common sense. Ask yourself what information someone would be looking for if they’re using a keyword you’re targeting, and start from there. 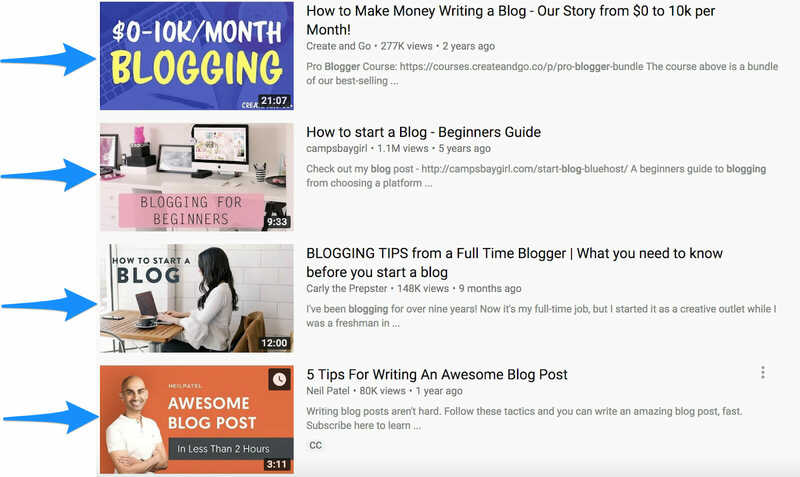 Struggling to find the motivation to write a long-form blog post? Instead of starting from nothing, take an existing page from 1,200 words to 2,000, rather than going from 0 words to 2,000 words. Existing content already has authority and an established readership. So rather than writing something entirely from scratch, it’s much simpler to find a post of yours that is already doing well on Google, refresh it with updated information and extra content, and rely on existing signals to make it rank for terms. Try to find pages that are ranking between positions 11-30 on Google. These are ideal candidates for additional content that can increase their rankings. It’s your job to re-optimize the page, add more relevant keywords, and offer more information to searchers. YouTube videos rank in the top 10 of Google search far more often than any other type of video. And, according to Forbes, YouTube is also the second most popular search engine with more than 3 billion searches per month – surpassing Bing, Yahoo, and AOL combined. Most SEOers forget about YouTube when they think of search engines. But if you’re smart, have a knack for creating engaging videos, and have the time to invest into optimizing each video for YouTube SEO, there’s no reason you can’t build a huge audience on that platform. 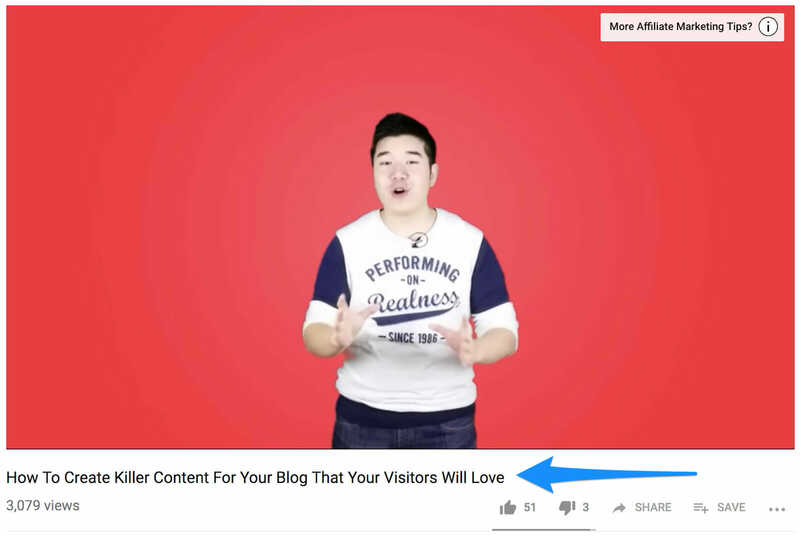 One YouTuber doubled their traffic with the same content after implementing YouTube SEO. Just like Google’s spiders, YouTube’s algorithm works by understanding information about your video. 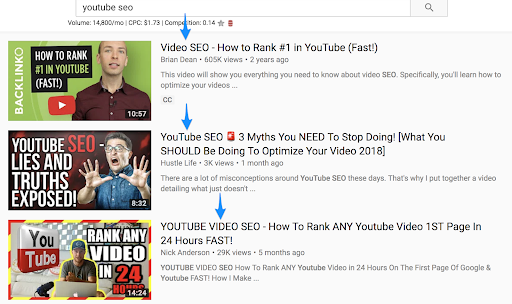 The filename, the title, the description of your uploaded content — all these elements affect your rankings in YouTube search. At the very least, your title should have 5+ words and include a broad target keyword. This will not only help you rank in SERPs but also get you more clicks on YouTube. This tells Google — as well as your readers — exactly what your video is about. Since most of your competitors aren’t doing it, it will also help you rank way faster. Bonus: Use a video transcription service to turn your YouTube video description into a script of your entire video. That way, YouTube has tons of information to work from when deciding where your content should rank! 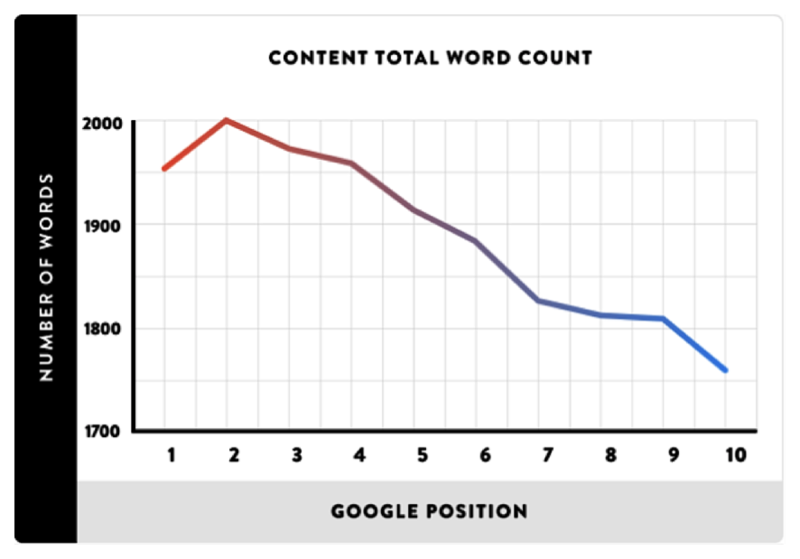 Like content, longer videos tend to do better in YouTube search. Notice how all these videos are 5+ minutes long? As with written content, longer videos tend to get the most traction – but remember to think about user intent first. The majority of search engines use click-through rate as a ranking factor. If people are clicking through to your result when they’re searching for a specific term, you must be offering something of value, right? 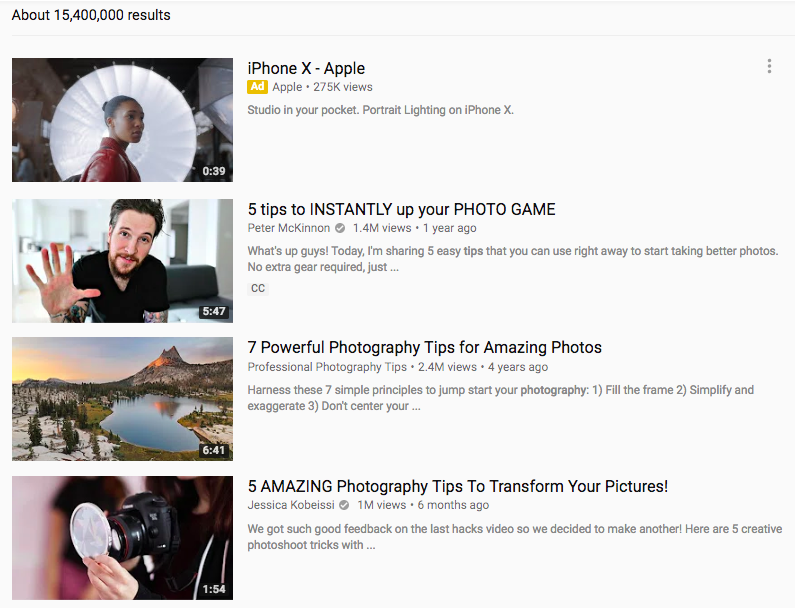 Optimizing your video with a great thumbnail can help that. A strong thumbnail should tell viewers exactly what the video is about. Ditch one of YouTube’s screenshots of your video and create a custom thumbnail that uses a compelling image along with a title card. It won’t come as a surprise to learn that backlinks are important in the SEO world. However, don’t fall into the trap of thinking “any link is a good link.” Low-quality links that are easily spammed — blog comments, paid links, etc. — don’t seem to work anymore and can actively harm your site. Links that are earned — through high-quality content, outreach and influencer marketing — on the other hand, are safe and extremely effective. What has changed is the way you must build backlinks if you want good results. Low-quality links that are easily spammed—blog comments, paid links, etc.—don’t seem to work anymore and can actively harm your site. Links that are earned—through high-quality content, outreach and influencer marketing—on the other hand, are safe and extremely effective. But Google likes to make things tricky for us. If your entire backlink profile is full to the brim with extremely high-quality links (from sites like Entrepreneur and Forbes), there’s a chance that your website will be flagged for a manual review. If you don’t pass that because your site looks too squeaky clean, you might land a Google penalty. That’ll get Google off your back, make your entire site look more natural, and less like you’ve hired an SEO spammer to build your rankings. Ever visited a website and been greeted with an ugly error page like this? It happens when sites don’t have HTTPS – the most commonly used, securest version of the old HTTP web protocol. Google has started to warn users when they’re visiting non-HTTPS websites, and if you’re yet to make the switch to secure, encrypted connections, you might be turning away a huge chunk of people willing to visit your site. HTTPS is a best practice that will help your website boost its SEO presence, stay secure, and make it harder for malicious parties to break in and take advantage of your website. 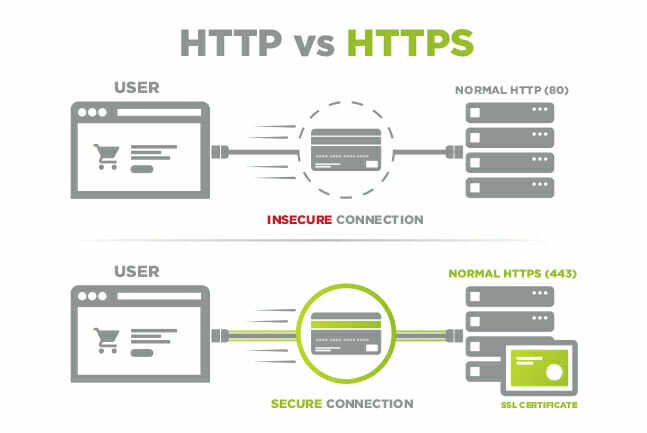 Granted, transitioning to HTTPS is easier said than done, and requires a multi-step process. When the Atlantic, a highly-regarded, well-established media organization, decided to move to HTTPS in early 2016, the transition was complex. First, content had to be scanned individually, then ported over and checked for compatibility. 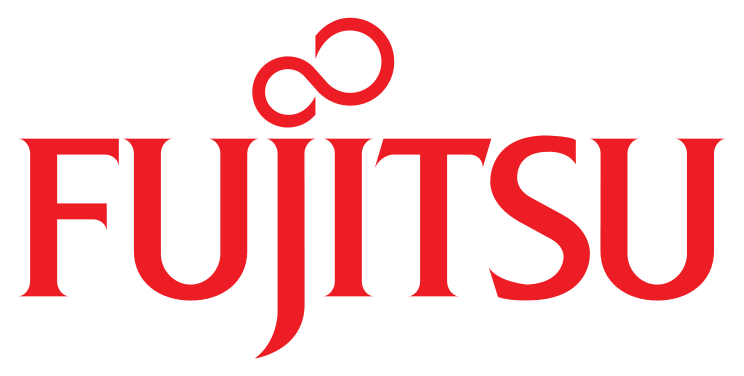 The process was repeated with ads, and once compatibility and security were ensured, the website slowly went live in order to guard against traffic loss and unforeseen errors. If you’re a smaller organization, your process will likely be less painstaking or time consuming, but either way, moving to HTTPS is a necessity in a world of cybersecurity threats and heightened SEO and SEM requirements. Follow this guide to make the switch on WordPress. 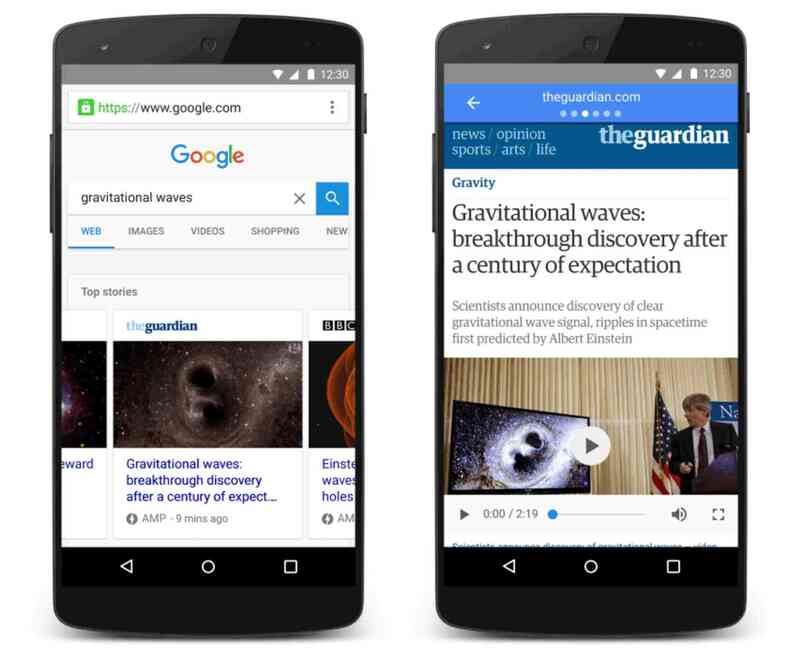 Since AMP was only incorporated into the search giant’s results in February 2016, the format itself is still fairly new. For those of you who use WordPress, AMP should be much easier to implement than a home-grown CMS from scratch. To make sure Google is crawling your preferred pages (and not pages that don’t appear in its index), you might need an extra pair of hands in the form of crawl software. We want to give search engines the best view of our website, right? Deep Crawl: Possibly the most comprehensive tool of its kind available today, Deep Crawl is the equivalent of a physical exam for your website, checking its SEO health and viability in an increasingly crowded market. Deep Crawl will provide you with a laundry list of necessary improvements and errors, such as: duplicate content, broken pages, flawed titles, descriptions and metadata. Botify: A cloud-based crawler that has already signed up big names like Expedia and eBay, Botify is one of the strongest crawlers available today, short of Google’s own secret algorithms. Not only can Botify check whether Google has crawled your page, but it can also offer suggestions on how to restructure web content and site maps to optimize your web page for Google’s crawlers. To help Google understand your data, or to show your website smartcards and voice searches, you need to ensure that your semantic markups are correct. Semantic markups are essentially HTML tags which can help emphasize key information on your website. It tells Google’s spiders what the page is about without needing to digest every word on the page. Just take heading tags, for instance. Text wrapped in a <h1> tag is the page’s main title, and should give a brief explanation of the entire shared content on that page. Text wrapped in a <h2> tag are subheadings, and so on. 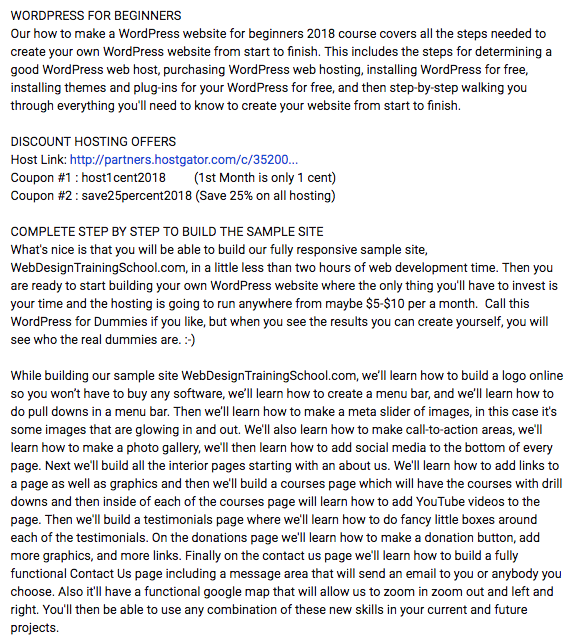 <h2> What is guest posting? Nothing will sink your website faster in search rankings than a 404 error. Following a link that leads to a 404 page with the text “Error: Not Found” is essentially a dead end. And nobody likes being stuck in a dead end – especially your audience. So it’s in your interest to fix these broken or missing pages and re-engage your users as soon as you can. First of all, download your backlink profile using a tool like Monitor Backlinks. Backlinks that are pointing to a pesky 404 error page will be highlighted, so sieve them out and head to your Google Analytics dashboard to find out how many page views the 404 error page gets. You never know – you might find that you’re turning away 300 visitors each month because they’re arriving on your site with a dead end! Keep those users around by using an SEO plugin like Redirection to redirect URLs of broken links to fully functioning pages. You’ll want to redirect the broken page to the next, most relevant page to make sure they’re not frustrated with landing on a totally different page than they expected. Redirecting broken pages to new URLs will boost user experience, while also regaining any “link juice” from those pages. It’s a win-win for everyone involved! So, if you have a brick-and-mortar business, you can’t neglect local SEO and listings if you want to stay profitable. Here are three huge SEO techniques to capture local people who could become your customers. After all, 72% of people who search for local businesses online end up visiting stores within a five mile radius! As powerful as search engines like Google or Bing are, they still can’t be everywhere at once, and have to rely on additional information from local, on-the-ground sources. These sources can include directory listings, which gather, aggregate, and submit relevant data for area businesses – information from physical directories (like Yellow Pages) or scanning business registrations. In a nutshell: Bigger search engines (like Google) will rely on these data aggregators to fill in the gaps of the existing information that’s already in their databases, and will also cross-check to make sure that the facts are up-to-date. Problems arise, however, when aggregators collect out-of-date data, leading a search engine like Google or Bing to list the wrong information – such as an old address for your business or a disconnected phone number. Google My Business: Because Google is the largest search engine, start with Google My Business – a free-to-use listing service, and update your data accordingly. Be sure to list important details like extra locations, the latest opening hours, and what forms of payment are acceptable. Local Directory Management Service: This service carries out the painstaking, tedious work of scanning countless local directories, interacting with data aggregators, and correcting any old information. Moz Local and Yext both offer this service, which can help you avoid any glaring inconsistencies that can hurt your revenue strea – or even worse, trick Google’s algorithms into thinking that you’re a different business entirely. That’s not going to land any visitors to your store. Build more directory listings using Local Data Aggregators: Now that you’ve got the information down to a T, roll that out by using a local data aggregator like Bright Local. That way, you don’t need to painstakingly re-enter the same information over and over again, which is bound to lead to mistakes in itself! From that point on, local search listings should be accurately and automatically updated by your management service. Oh, and remember to change all local listings if something changes – particularly when you move office or switch telephone numbers! 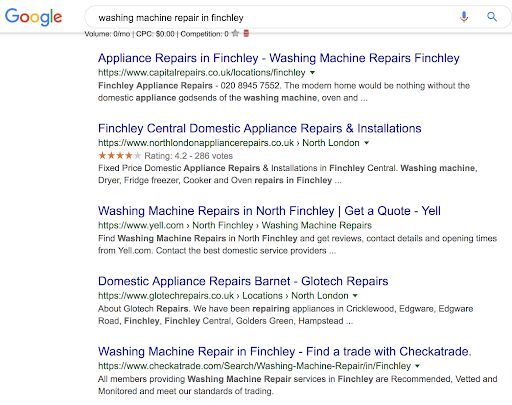 Notice how they’re all local landing pages for the Finchley area, rather than a homepage or general “washing machine repair” service page? Doing keyword research to find local keywords relating to your product or service. Creating a new page on your website and optimizing it for those local keywords. That includes mentioning the phrase in: your meta title, meta description, page title, heading tags, image alt text, and on-site content. Building links from local directory listings to that page to strengthen location-based keyword rankings (e.g. If you’re creating a landing page for London, build links from London-based directories to the landing page’s URL). Carrying out technical SEO for local search engines is a similar process to the one we discussed earlier. 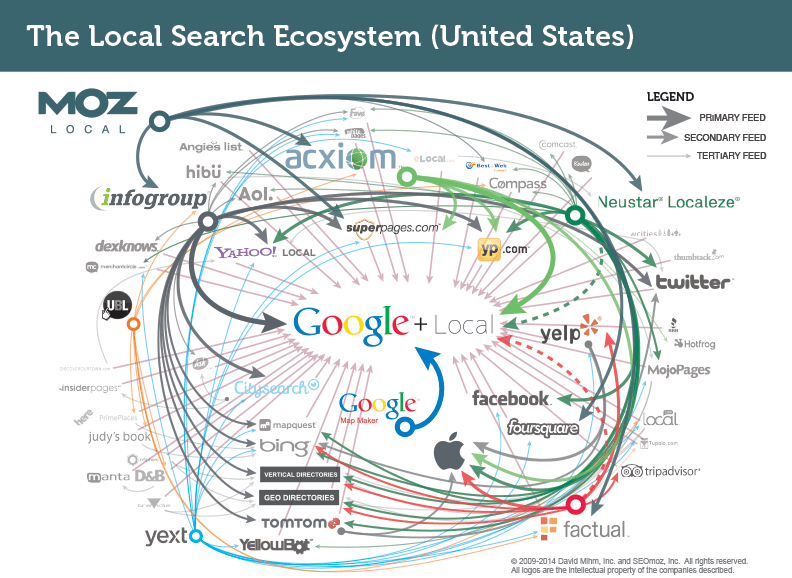 You may be questioning the point of optimizing for local search engines, especially given Google’s unquestioned dominance of the search landscape. Even so, local search engines are still extremely useful. Physical brick and mortar stores thrive on in-store visitors, right? First, understand that schema markup is one of the most powerful, least used parts of SEO today. Schema are basically brief snippets of data that can give extra information to search users and search engines. Best of all, schema markups don’t require extra coding, and can be inserted through Schema.org, a rare collaboration between Google, Yahoo, and Bing. Reporting and analytics are two critical elements of SEO – both of which are indispensable to improving your overall marketing strategies. What content really appealed to your customer? What part of the website had the most UX issues? Which page was the least (or most) visited, and why? Which on-page SEO changes resulted in the highest rankings? Which style of keyword should you focus on, in future? It’s tricky to understand those intricacies (and use them to your advantage to skyrocket your SEO even further) without regularly monitoring and reporting your results. Interested in gaining the ability to tie online data back to offline data in order to get a full 360 view of how your content and marketing is performing? Google’s Data Studio helps you to do that by aggregating data (such as rankings, traffic, conversion data) from multiple sources into a single interface. It’s a fantastic SEO tool for internal teams to use, but also a superb way for SEO agencies to share fancy reports with their clients. But, most importantly, the SEO metrics you’re able to track with Datastudio can help you determine the effectiveness of your SEO strategy, and assess whether you need to pivot or change tactics to improve on your results. Always be on the lookout to see what your competitors are doing and how well it’s working for them. What techniques are they using? How have they changed their approach? What mistakes have they learned from? Still, you shouldn’t implement something just because your competitor is doing it – whether that’s designing a website a certain way or using specific copy or images. You’ve got to use your common sense, combined with industry knowledge, before giving your SEO team the go-ahead to copy their changes. The differences are pretty clear. In 2007, the web layout was much more cluttered and crowded, with small, hard-to-navigate sidebars squeezing some small, insignificant-looking pictures in the middle advertising daily specials. In 2018, however, the user experience is much more streamlined. 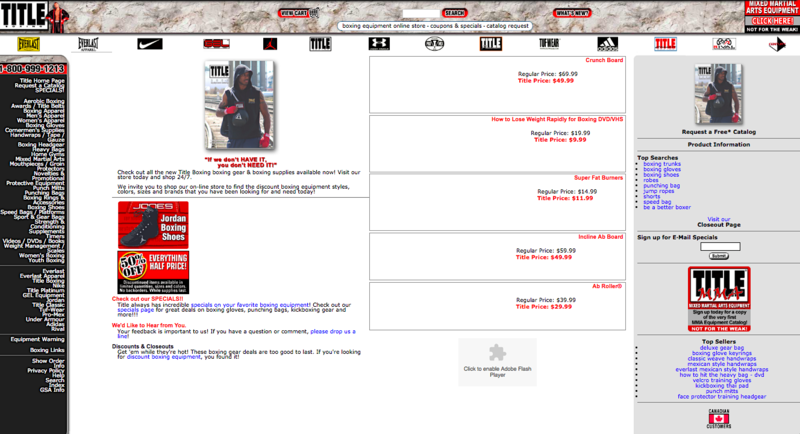 Visitors are greeted with a clear, easy-to-use sidebar at the top, labeled with categories like “Gloves” and “Punching Bags.” A large, sliding image in the center replaces the tiny, hard-to-notice ads from 2007, allowing buyers to see exactly what is on sale. In a nutshell: The new website is almost minimalist, doing away with the previous confused, slightly chaotic format. That might be a change you’ll want to think about implementing, too. If you’ve followed this guide to a T, you might notice an influx of organic traffic arriving at your website from Google. That’s great news, but how can you find out which keywords are driving the most results? Remember to focus on solid content creation and copywriting fundamentals, engage your viewers deeply, and stay abreast of technical trends like backlinks, SEO health, site speed, and schema. And don’t be afraid of using a handful of the AI-based tools we’ve recommended to welcome the emerging AI revolution that’s set to take over the marketing world in 2019. But if you need more personalized, specific advice on how you can start ranking for competitive terms in your niche, become recognized as a thought leader in your industry, and make more money through organic search traffic, click the orange button below to schedule a time to chat!